Jo Corben was one of the stars of British Masters Champs 2016 Day Two as she completed her hat-trick of records in the backstroke events. 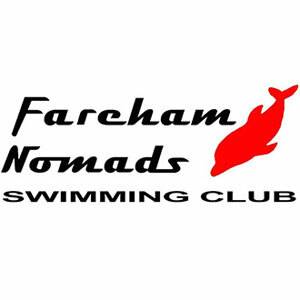 Having set a 45/49 Yrs European record in the 100m Back on the opening day in Sheffield, the 46-year old Fareham Nomads swimmer added a new world record over 200m Back and British marker in the 50m Back on day two. 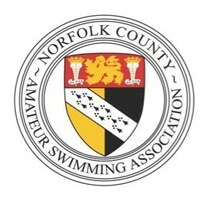 Kings Cormorants’ Jane Asher also set a world record in the 85/89 Yrs 50m Back, while there were European records for Hatfield’s Chris Dunn, Trafford Metro’s Neil Mackinnon and Birmingham Masters’ 4x50m Freestyle Relay quartet. Birmingham Masters’ men clinched their European record in the first session of the day, winning the 320+ Yrs 4x50m Free Relay in 2:33.08. There were also 4x50m Free Relay records for East Leeds’ women in the 160+ Yrs age group and Barnet Copthall’s women in the 200+ Yrs. Sub 160’s Nicola Latty took down a long-standing British record in the 400m Individual Medley, setting a new 45/49 Yrs marker of 5:37.89 to break Lesley Wilde’s 12-year old marker. Having set a British 200m IM record on the opening day of the Championships, Otter’s David Warren claimed the British 45/49 Yrs 400m IM British record, winning his age group in 4:59.64 while Guildford City’s Michael Hodgson was also a British record breaker in the same age group, setting a new 100m Breaststroke marker of 1:08.40. Guildford’s David Bryant (1:17.38) and AST Burnham’s Grenville Cole (2:16.25) finished the session with British 100m Breast records in the 55/59 Yrs and 85/89 Yrs age groups respectively. The middle session of the British Masters Champs 2016 day two was the busiest of the day with 13 records broken. 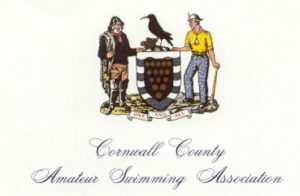 Kings Cormorants’ Jane Asher led the way with a new world record in the 85/89 Yrs 50m Backstroke, touching home in 50.08 while there were British records for Michelle Ware (40/44 Yrs – 32.32), Jo Corben (45/49 Yrs – 33.01) and Rachel Barton (65/69 Yrs – 39.97) in the same event. The men’s 50m Back also saw four records go with Team Luton’s Graham Powell the youngest of the four; the 60-year old setting a 60/64 Yrs marker of 32.91. Trafford Metro’s Neil Mackinnon (75/79 Yrs) and Launceston’s Roger Burrell (85/89 Yrs) secured their second individual British records of the Championships in 40.38 and 48.43. The fourth record came from Birmingham Masters’ Arthur Lowe, returning to the pool after playing his part in his team’s 4x50m Free European record to set an individual 50m Back record of 44.77 in the 80/84 Yrs age group. Hatfield’s 70-year old Chris Dunn set an impressive European 70/74 Yrs marker of 2:26.50 in the 200m Freestyle while East Leeds’ Karen Graham (50/54 Yrs – 2:20.36) and Trafford Metro’s Paul Barnard (35/39 Yrs – 2:01.02) set British 200m Free records in younger age groups. Otter’s David Warren grabbed his third British record of the Championships with a 1:00.40 effort in the 45/49 Yrs 100m Butterfly before Nottingham Leander’s Mixed 4x100m Free Relay quartet brought the session to a close with a British record 4:00.79 in the 72+ Yrs age group. Jo Corben was the star of the evening session in Sheffield, breaking her own 45/49 Yrs 200m Backstroke world record of 2:25.12 from January this year with a 2:24.97 effort. Gloucester’s Helen Kula-Przezwanski clocked 2:55.37 to break her own 55/59 Yrs record in the same event before Guildford’s Michelle Ware clinched her second British record of the day with a 28.19 effort in the 40/44 Yrs 50m Free. 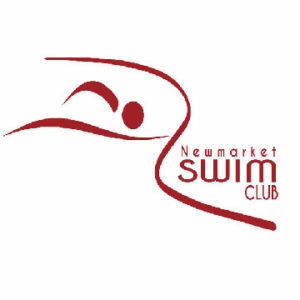 Having set records in the previous session, Chris Dunn (70/74 Yrs) and Neil Mackinnon (75/79 Yrs) continued their form with 50m Free records in 29.36 and 30.32 respectively. There were also three relay medals in the final session of the day with Trafford Metro’s women setting a new British 200+ Yrs 4x100m Medley Relay record of 5:16.69. Nottingham Leander and Spencer got in on the act in the men’s Medley relays, setting new British markers of 4:14.07 (72+ Yrs) and 5:15.25 (240+ Yrs) respectively.